Nearly a million Americans choose to have hip replacement surgery every year. In fact, hip replacements are one of the most commonly performed elective surgeries in the country, allowing 90 percent of those who undergo it to get back to the active lifestyles they previously enjoyed. If chronic pain in your hip has been keeping you from the activities you love, it might be time to consider hip replacement surgery. While surgery should not be the first option, it’s important to talk to your doctor about your symptoms so you can make an educated decision about your condition. Your hip is constantly feeling stiff. One common sign of stiffness in your hip is when you notice that when bending down to put on your shoes, one side is more difficult than the other. This type of ongoing stiffness in your hip joint is often a red flag that there’s something more serious going on, and it’s definitely worth mentioning to your physician. You deal with hip pain on a daily basis. Along with feeling stiff, do you have hip pain day in and day out? Is it limiting your exercise routine and even regular activities like climbing stairs, walking around the grocery store, or getting in and out of your car? If you’re feeling pain in your hip all the time, even when you’re at rest, it might be time to consider hip replacement surgery. Pain that interferes with your daily life is not normal, and it can also take a toll on your mental and emotional health. Hip pain is interrupting your sleep. If you’re feeling irritable or groggy because you’ve spent the past several nights tossing and turning, unable to get comfortable due to your hip, hip replacement surgery could improve your sleeping habits. A good night’s sleep is key to keeping you alert, refreshed and can even improve your memory and mental health. You have advanced arthritis in your hip. In advanced cases of hip arthritis, your bones begin wearing down as the synovial membrane, the tissue that surrounds the hip, becomes inflamed. This results in the cartilage in the hip getting worn away, leading to the ends of the bones rubbing together painfully. Hip replacement surgery is often necessary in these cases to stop the bones from wearing down. Other treatments haven’t been of help. Have you already tried taking over-the-counter, anti-inflammatory medications like ibuprofen or naproxen daily? Are you getting cortisone shots, participating in physical therapy and still dealing with regular pain in your hip? If you’ve exhausted all your options and are still feeling daily hip pain, or the pain continues to increase, hip replacement surgery could greatly improve your quality of life. 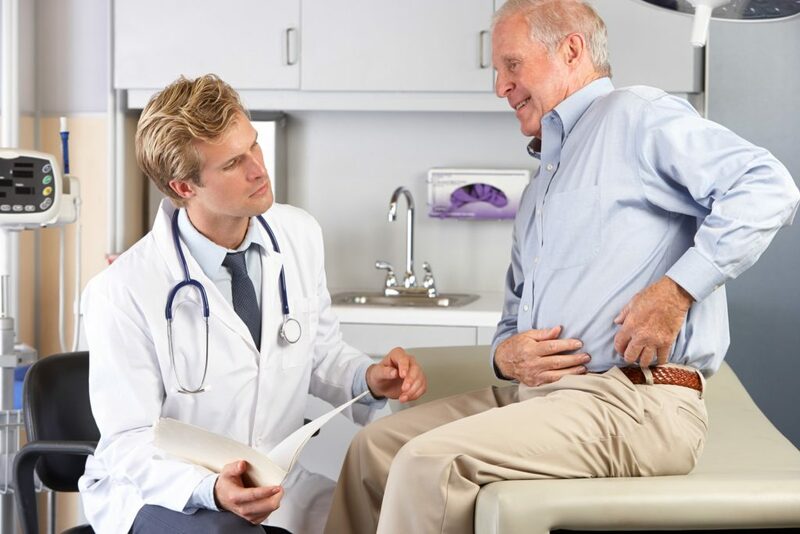 If the above symptoms are all too familiar to you and you’ve made the decision that a hip replacement is necessary to get you back to the life you enjoy, there are a few steps to take to prepare for your surgery. First, write down any questions you may have about the surgery or the recovery process to discuss with your doctor. Then, figure out what you will do for post-surgery care – will you return home and receive in-home care, or will you stay at a short-term rehabilitation center? Meet with the physical therapy team and learn what kind of exercises will be recommended to make them easier to complete after your surgery. Additionally, the better shape you’re in physically before your surgery, the better. If you’re slightly overweight, work on losing some of those extra pounds. Building strength, increasing your flexibility and toning your muscles will allow for an easier recovery period. At Immanuel Lutheran Communities, our short-term rehabilitation program at The Retreat provides long-term contentment. While you recover from hip replacement surgery, you’ll enjoy living accommodations with a resort-like feel, unmatched hospitality and a variety of innovative therapy amenities. Contact us to learn more about short-term rehabilitation offered at our Kalispell retirement community, located in the beautiful Flathead Valley.